A wide variety of games are already available for Android devices on Google Play, but several hints suggest the status quo may not be good enough for the search giant. Google appears to be moving aggressively into gaming with several new hires, and a Google I/O schedule packed with gaming-themed sessions. But what exactly is Google up to? Is the company trying to capitalize on the recent trend of turning Android into a console gaming platform such as the Ouya? Is this about having more games than iOS? Or does the company have an entirely different idea up its sleeve? Google recently hired veteran game designer Noah Falstein, who has worked in the gaming industry since 1980 with companies such as Lucasfilm Games (before it was LucasArts Entertainment) and Dreamworks Interactive. 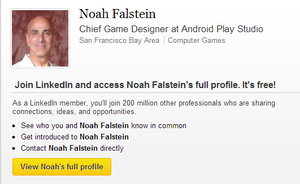 His new title at Google is officially Chief Game Designer at Google, according to Falstein’s LinkedIn page. As TechCrunch first reported, however, a cached version of his profile shows that Falstein originally posted his title as “Chief Game Designer at Android Play Studio.” That title suggests he may be working on Google-branded games that will head to the Play store, but that’s purely speculation at this point. Falstein is not the only big gaming hire Google has made recently, TechHive has discovered. Electronic Arts veteran and Frog City Software co-founder Rachel Bernstein also moved to Google in April. Her title? Executive Producer at Android Play Studio, based on her LinkedIn profile. During her time at EA, Bernstein led the development of The Sims Medieval PC game and MySims Agents for the Wii. Before that, she also created games for Xbox Live Arcade. Google confirmed to TechHive that both Bernstein and Falstein have joined the company, though a spokesperson declined to comment on specific work info. Hiring two, and possibly more, game development veterans, makes you wonder what Google is planning. Beyond new hires, Google also plans a big focus on games during the company’s Google I/O developer conference later in May. The schedule for developer training sessions during I/O 2013 is chock full of gaming and gaming related-themes on Day 1, Wednesday, May 15. Out of a total of ten Android sessions that Wednesday, half are explicitly about games, as you can see in the screenshot below. Google’s focus on gaming may not seem like a big deal, until you consider that Google I/O 2013 has more gaming sessions than both I/O 2012 and I/O 2011 combined. I/O 2012 had exactly one gaming-specific Android session. In 2011, Google offered two gaming-specific sessions that weren't really about making great games for Android. I/O 2011 had one session about making your game compatible with the wide array of Android flavors then in the market, and another session was about porting games to Android that were written in C and C++. It’s clear that Google is getting big into games by hiring veterans from the gaming industry and setting a game-centric I/O schedule for Android developers, at least on day one. The question is, what is the company going to do and what is the Android Play Studio? Android is certainly taking off as a gaming platform. Not only can you find great games on Google Play, but new gaming consoles such as Ouya and GameStick are Android-based. Perhaps Google is trying to capitalize on this trend by creating games for these platforms? Developers still aren't sold on Android as a gaming platform, and an active role from Google may alleviate their concerns. Then again, Google may be paving the way for virtual reality gaming and other entertainment experiences with Glass. While Google isn’t publicly advertising any Glass sessions during I/O yet, the new wearable technology will almost certainly be a topic of discussion during the conference—especially since a bunch of Googlers and developers will probably be walking around wearing them during I/O. This could also be a play to create some new kind of gaming experience. Google already offers Ingress, a highly innovative augmented reality game from Google’s Niantic labs. What's exactly is Google up to here? 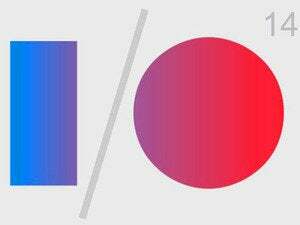 We expect to hear more at the Google I/O 2013 in a couple of weeks. TechHive will be there to keep you up to date on all the latest news and trends. TechHive's Brad Chacos contributed to this report. This story, "Android Play Studio hires, Google I/O 2013 lineup hint at game-filled future for Android" was originally published by TechHive.